02/09/2015 - With contract negotiations set to begin on Feb. 19, APWU members across the country are busy preparing. 02/09/2015 - APWU members are invited to join President Mark Dimondstein for a live Town Hall Conference Call on Feb. 17, to discuss our fight to win a good contract for union members while we fight for a vibrant, public Postal Service for the people of the country. Negotiations begin on Feb. 19. To participate, you must register online by Feb. 16. Postal workers across the country cheered the announcement on Nov. 14 that Postmaster General Patrick Donahoe is stepping down, effective Feb. 1. “We hope that the next Postmaster General will reverse Donahoe’s policies of lowering standards, reducing hours, outsourcing work, and diminishing a great American institution,” President Mark Dimondstein said. “We call on USPS’ Board of Governors to immediately freeze Donahoe’s policies and to do no more harm.” Delegates to the APWU national convention in July had voted unanimously to seek his resignation. 11/15/2014 - Updated 11/19/2014 - The Nov. 14 National Day of Action to send a message to the Postmaster General and the USPS Board of Governors to Stop Delaying America's Mail! generated extensive media coverage. The events were sponsored by the four postal unions: the American Postal Workers Union, the National Association of Letter Carriers, the National Postal Mail Handlers Union and the National Rural Letter Carriers Association. Visit our Facebook page for photos and more. 11/05/2014 - We regret to inform you that Greg See, Assistant Director of the Maintenance Division, passed away on Nov. 4. He was a member of the Mansfield (OH) Area Local, where he previously served as president. 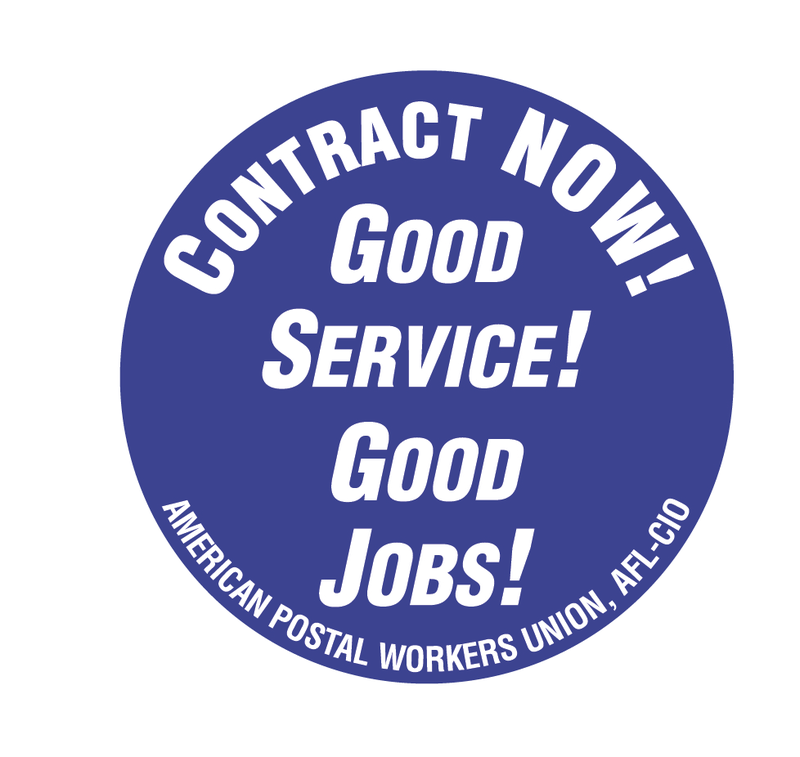 06/30/2014 - The APWU today denounced plans by the Postal Service to resume the closure and consolidation of up to 82 mail processing plants beginning in January 2015. “This is a direct assault on service to the people of the country, on postal workers and on the Postal Service’s own network,” said union President Mark Dimondstein. The closure of the plants will require the USPS to degrade service standards and delay mail. 05/28/2014 - A May 28 agreement between the APWU and USPS [PDF] establishes a new Customer Care Center (CCC) in Wichita KS. The new CCC will be located at the Remote Encoding Center (REC) site, which is scheduled to close no later than November 14.